Many years ago, while giving my new husband a tour of San Francisco’s Mission District, we lunched at a popular taqueria. Having grown up in California, tacos, tamales and guacamole are as common to me as fish and chips are to my English husband. 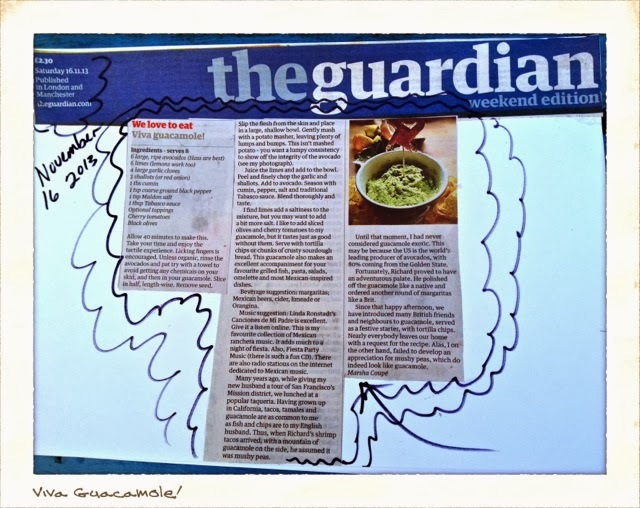 Thus, when Richard’s shrimp tacos arrived, with a mountain of guacamole on the side, he assumed it was mushy peas. 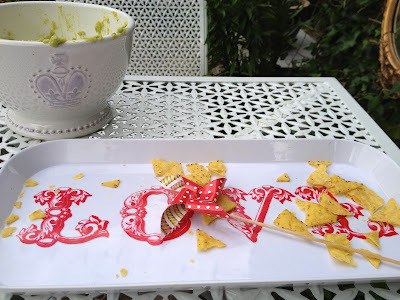 Until that moment, I had never considered guacamole exotic. This is because the United States is the world’s leading producer of avocados --- with 80% coming from The Golden State. Fortunately, Richard proved to have an adventurous pallet. 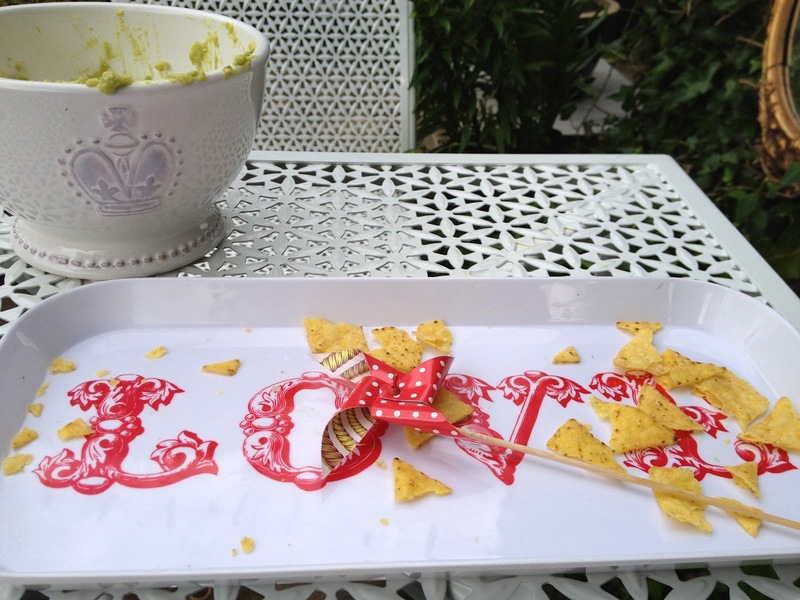 He polished off the guacamole like a native and ordered another round of margaritas like an Englishman. 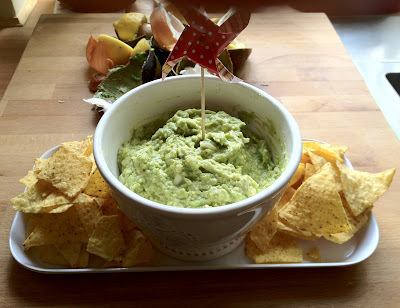 Since that happy afternoon, we have introduced many British friends and neighbors to guacamole, served as a festive starter, with tortilla chips. Nearly everybody leaves our home requesting the recipe. Alas, I on the other hand, failed to develop an appreciation for mushy peas, which do indeed look like guacamole. Allow yourself a good 40 minutes to make this. Take your time and enjoy the tactile experience. Licking fingers is encouraged. I like to top guacamole with sliced olives and cherry tomatoes, but it tastes divine without them. The best avocados have the consistency of butter. Make sure yours are ripe. To test for ripeness, cradle the avocado in the palm of your hand. If it yields to the slightest pressure, it is likely ready to eat. Unless they're organic, rinse avocados under cool running water and pat try with towel. 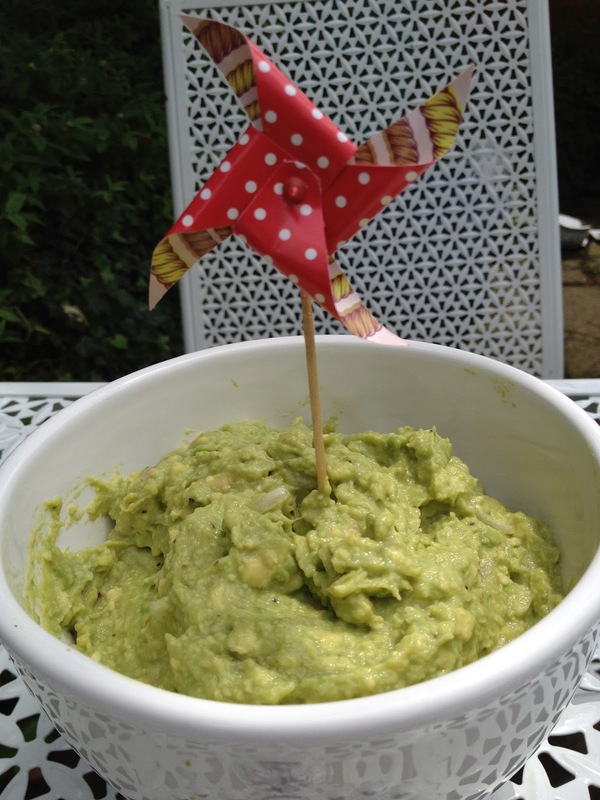 This is to avoid getting any chemicals on then skin in your guacamole. Slice avocado in half, length-wise. Remove seed. Slip the flesh from the skin with clean fingers. Place flesh in large, shallow bowl. Continue with this process until you have de-seeded and peeled six avocados. Gently mash with potato masher. Leave plenty of lumps and bumps. This isn’t mashed potato. You want a lumpy consistency to show off the integrity of the avocado. Juice the limes and add to the bowl. If limes are a bit hard, roll them around a bit before slicing open to help get the juice flowing. Reach for a sharp knife and put on some Mexican Ranchera music to get you in the proper mood. 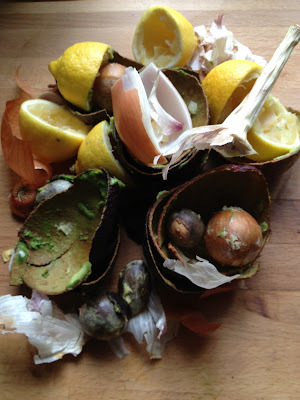 Peel and finely chop garlic and shallots. Add to avocado. Season with cumin, pepper, salt, and traditional Tabasco sauce. Blend thoroughly. Taste. I find limes add a saltiness to the mixture, but you may want to add a bit more salt. Bear in mind, tortilla chips, if you're using them, can be pretty salty too. Serve with tortilla chips, breadsticks, or chunks of crusty sourdough bread. Also makes an excellent accompaniment for your favorite grilled fish, pasta, salads, omelette, and most Mexican inspired dishes. Serves eight as a starter. 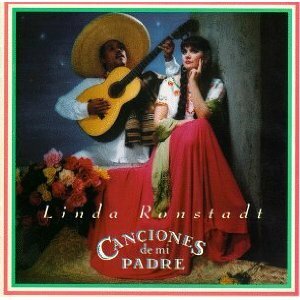 Linda Ronstadt's Canciones de Mi Padre is excellent. Give it a listen online. This is my favourite collection of Mexican Ranchera music. It adds much to a night of fiestaing. Fiesta Party Music (there is such a fun CD, at least at this writing) There are also a number of radio stations on the internet dedicated to Mexican music.